PLEASE NOTE: As a result of quarantine restrictions, I can no longer import chilli and pepper seed and have sold out of pre-existing stock. I will source locally grown seed to sell where possible. 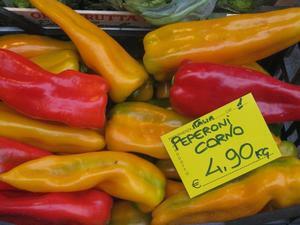 Chillis and peppers (peperone) and eggplant (melanzana), are sun loving plants in widespread use in Italy and elsewhere around the Mediterranean. Peppers (capsicums) were so called by Columbus in his confusion after having discovered the Americas, rather than his target East Indies. 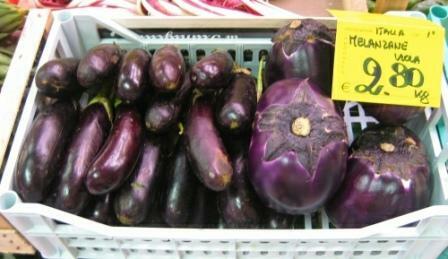 Eggplant is so called because of the spherical, white varieties that are popular in Asia, rather than the purple oval to elongate fruits that are most common in Australia.